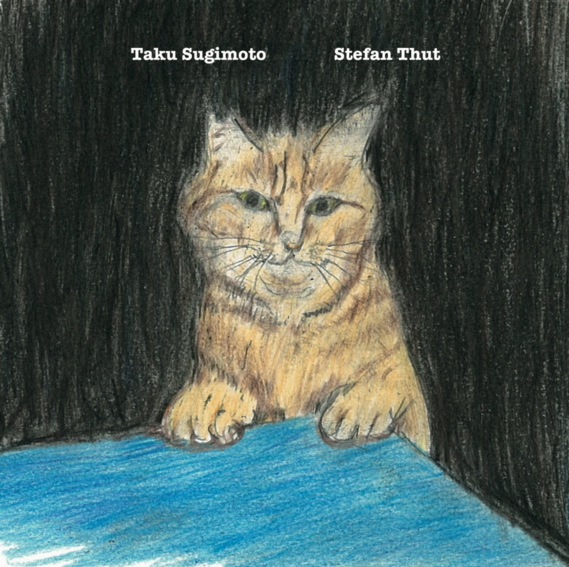 During Taku Sugimoto's tour in Europe in March 2015 he met composer and cellist Stefan Thut to perform together in Geneva and Basel. These concerts were the first appearances of the two musicians as a duo. 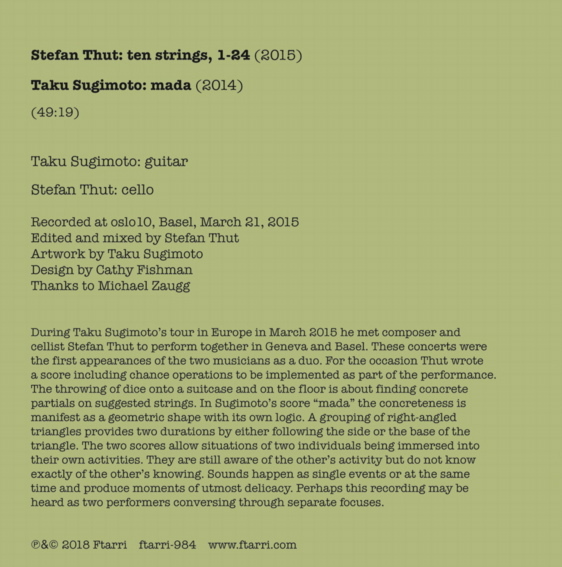 For the occasion Thut wrote a score including chance operations to be implemented as part of the performance. The throwing of dice onto a suitcase and on the floor is about finding concrete partials on suggested strings. In Sugimoto's score "mada" the concreteness is manifest as a geometric shape with its own logic. A grouping of right-angled triangles provides two durations by either following the side or the base of the triangle. The two scores allow situations of two individuals being immersed into their own activities. They are still aware of the other's activity but do not know exactly of the other's knowing. Sounds happen as single events or at the same time and produce moments of utmost delicacy. Perhaps this recording may be heard as two performers conversing through separate focuses.